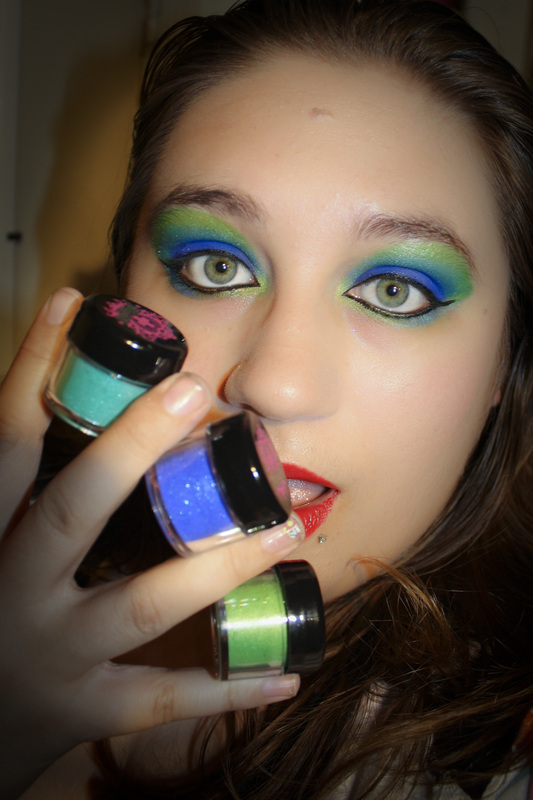 A while back I snagged the Tokidoki Robbery palette and I love the shimmery, glittery-ness of it! That’s Soya, Ninja Dog, Mateo( I think that’s how it’s spelled) and Candy Cane(my absolute favorite crazy shimmery white!) 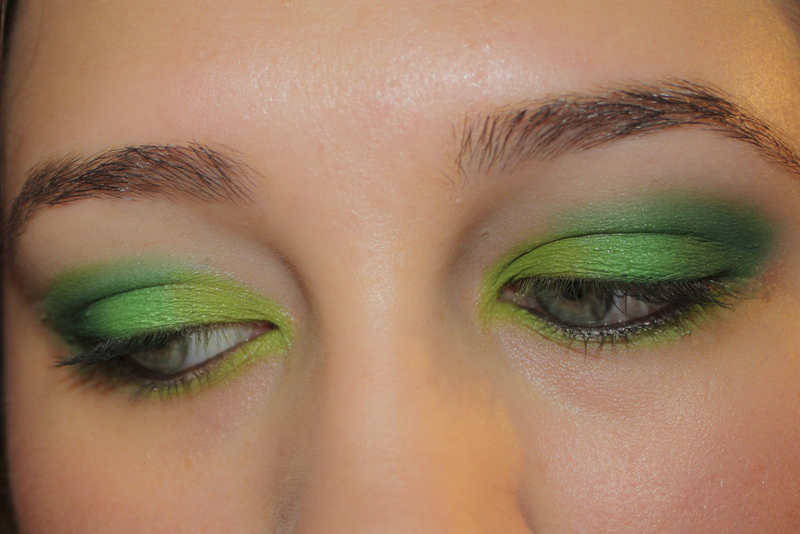 and the dark green in there is from Coastal scents 88 palette. Of course, finished off with bright pink lips with Urban Decay’s Crush (which I love love love!!) Until next time Chicas! It’s been a while since I’ve posted, sorry chicas! So here is an update to what I have been up to! 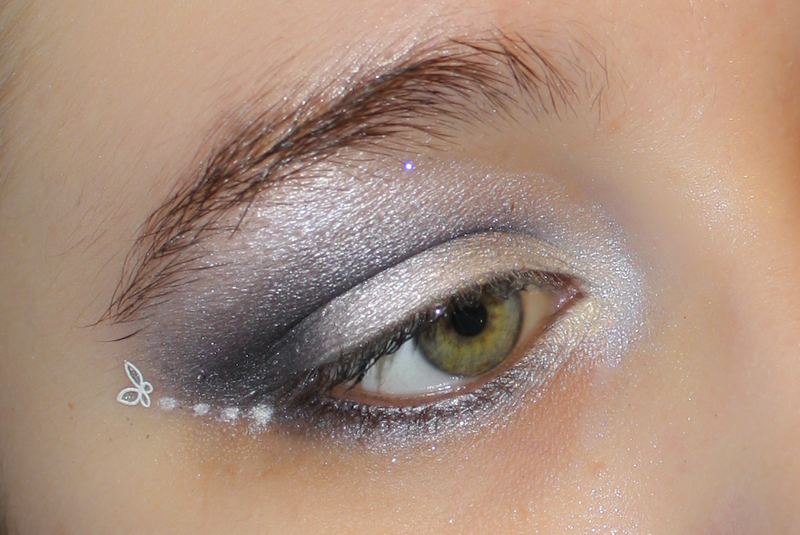 This look was inspired by the King of Pop, Michael Jackson (RIP) who was also flashy and glittery and fantastic! 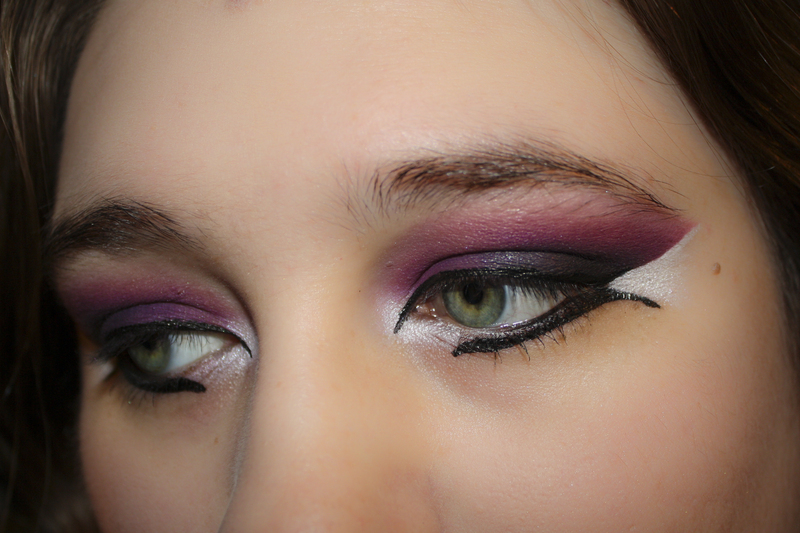 This look is inspired by the 80’s rockers of yesteryear…you should’ve seen my hair! Oh, those Arab eyes! 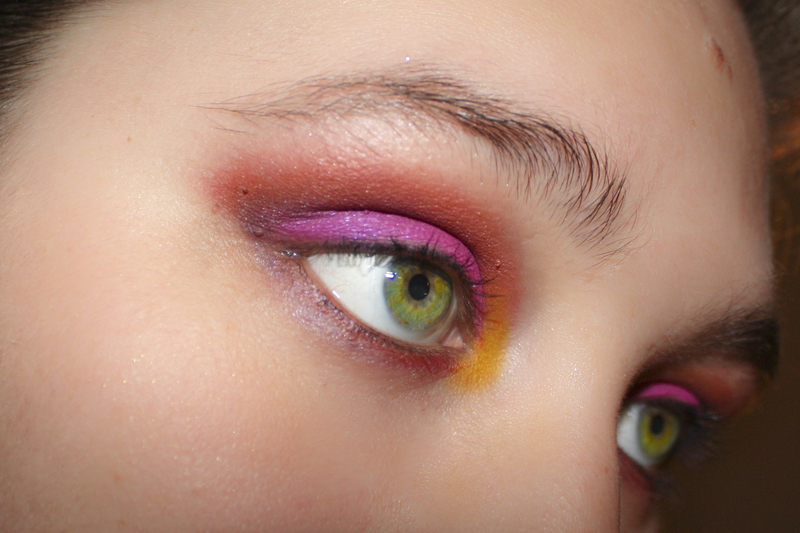 This look was taken from Misschievous on YouTube, who is fabulously fantastic! Check her out, she’s really great! Oh how I love green and yellow! 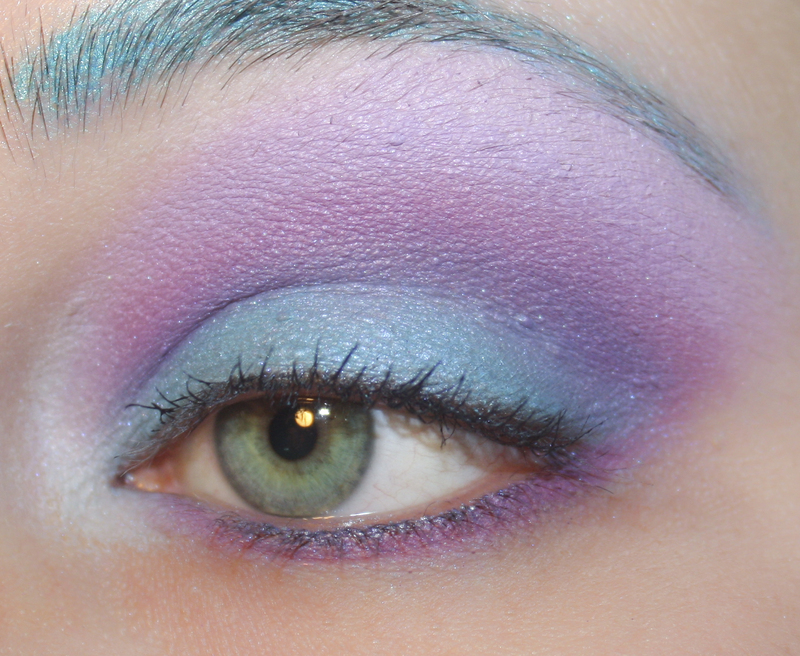 This look was made with Sugarpill and Coastal Scents! One of my all-time favorites! I did this look for Memorial Day and got tons of compliments! 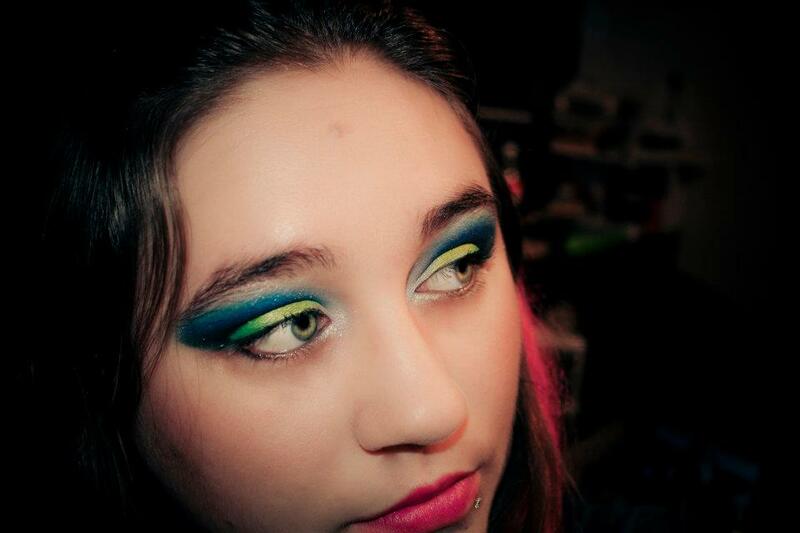 I used Coastal Scents for this look. 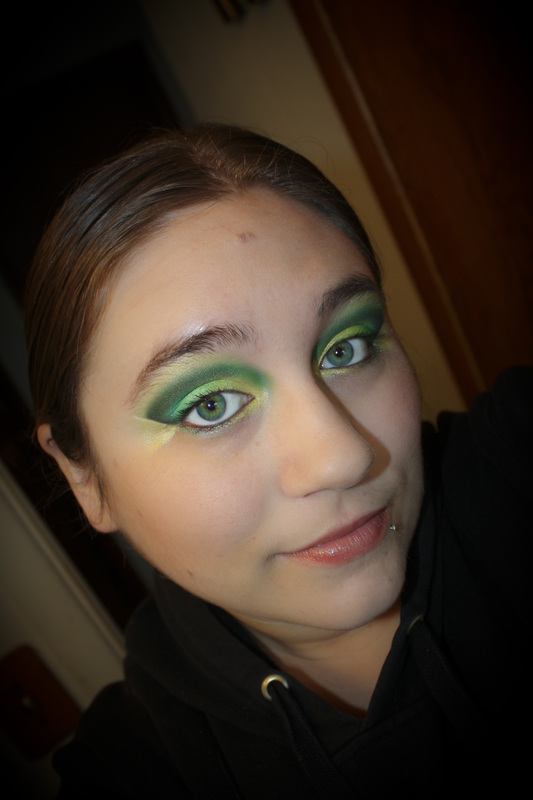 This look was inspired by Trashyfag on YouTube! Got tons of compliments on this too! And this is a small bit of my Sugarpill haul from June! YAY! Well, there you have it, a quick snapshot of what I’ve been up to! Talk to you soon chicas! 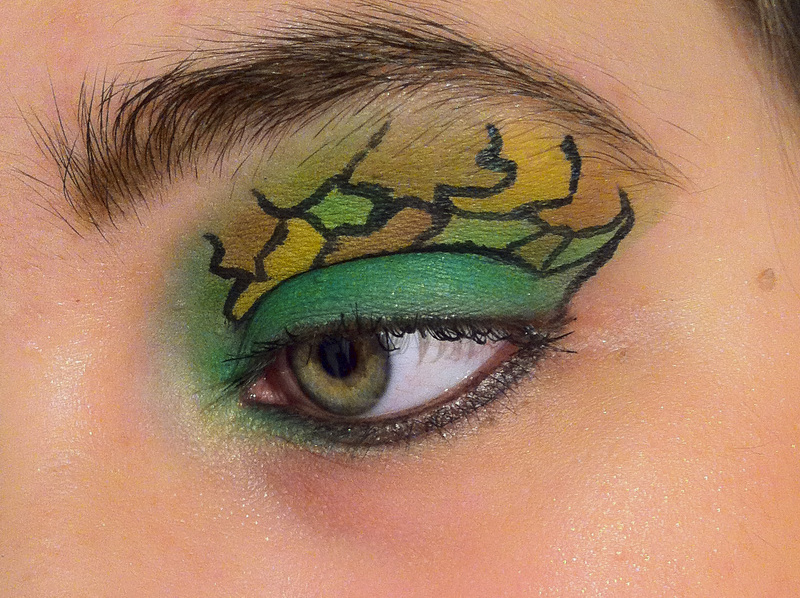 First, I applied Too Faced eye shadow Insurance to my entire lid and eye area. 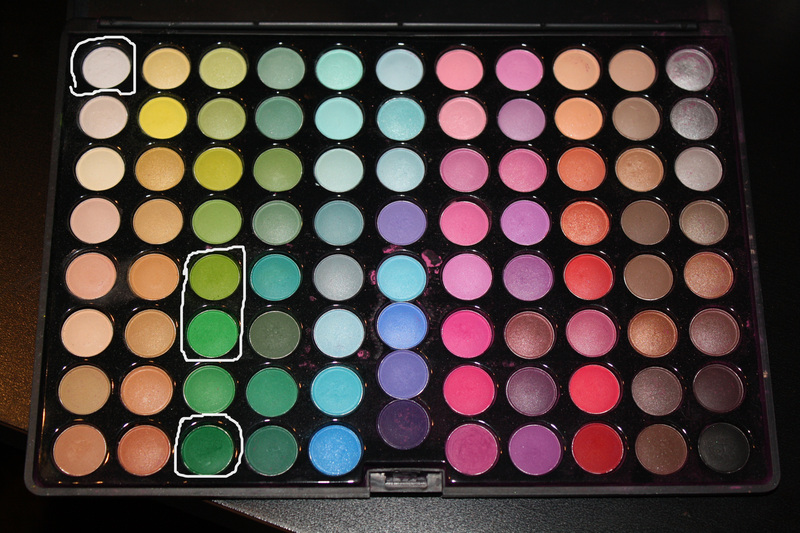 I then colored the entire lid with the white Sephora jumbo eye pencil. 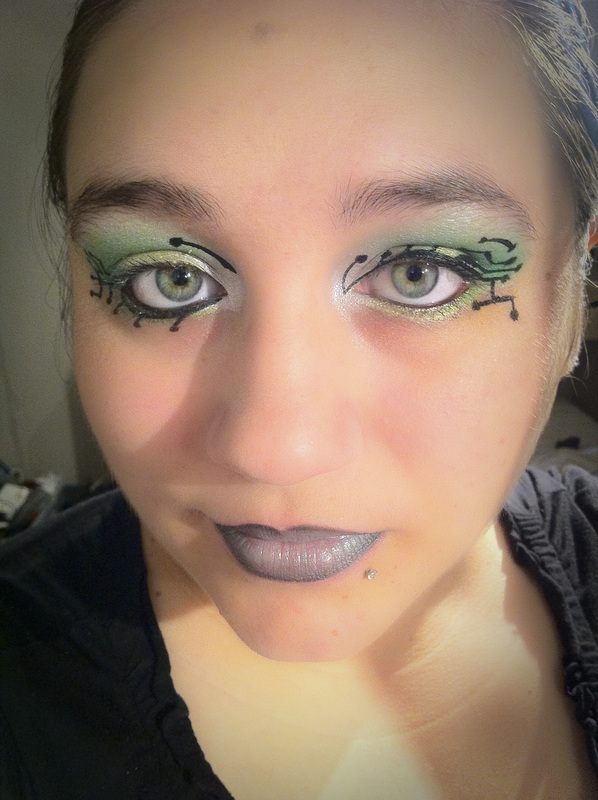 Next, I applied the lightest green shade, followed by the medium shade in the middle and the darkest green shade at the end. 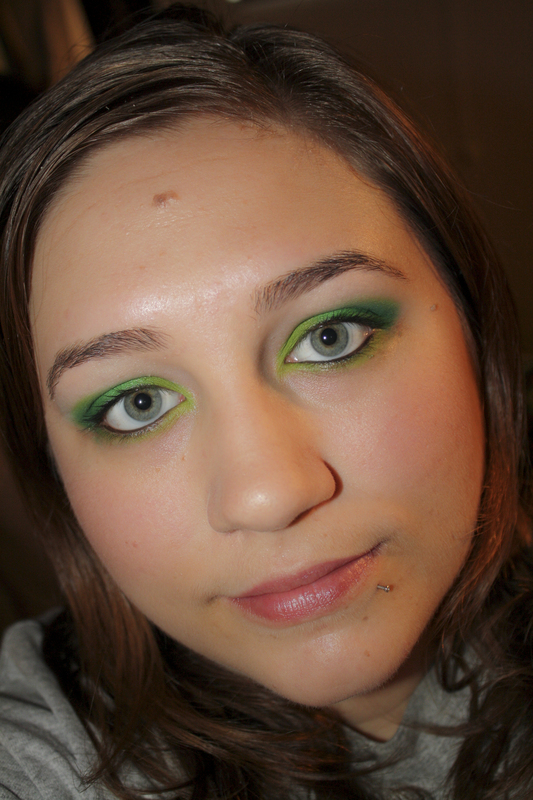 I blended the dark green shade up and in towards the middle of the eye in the crease. 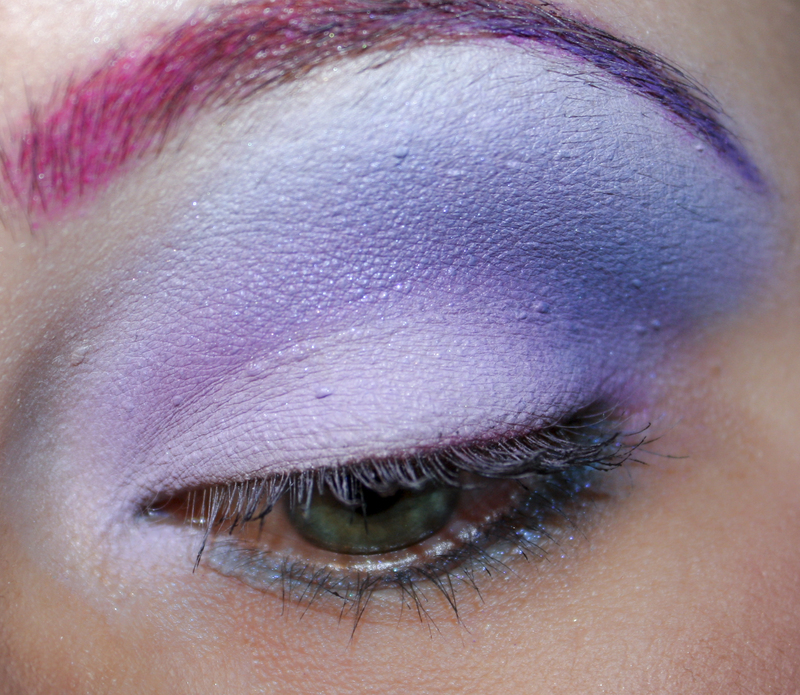 I used white to finish blending and highlight the brow bone. 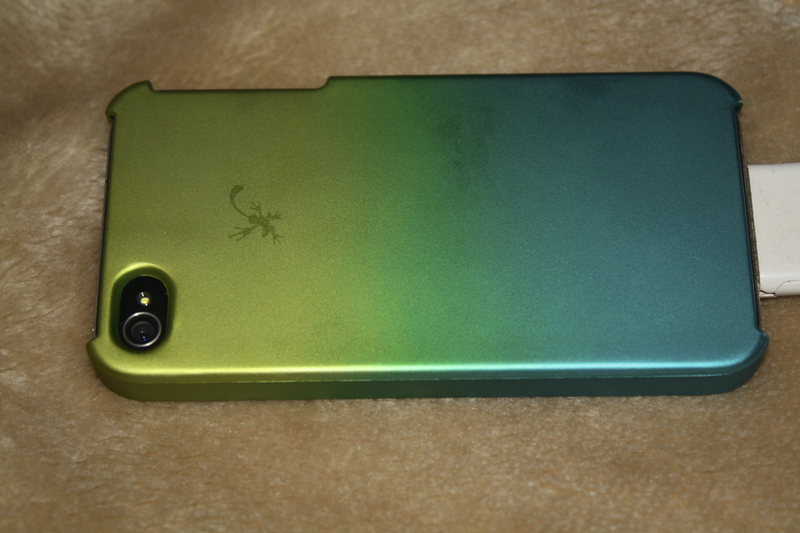 So there you have it, Electronic Green! So there you have it! Please feel free to leave me comments or suggestions or anything but hate mail lol 🙂 I’ll talk to you soon chicas, ciao!